Work of Heart is in stores now. 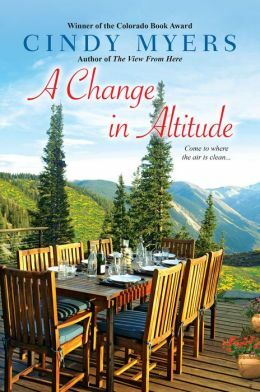 Pick up your copy of my new book, a novel based on the real love story of a Denver couple. Danny de Zavala and Nina Barry fell in love almost from the moment they met, but real life challenges kept trying to drive them apart. Find out how they triumphed and found their own happily ever after. Folgers is holding a jingle contest.The Grand Prize winner takes home $25,000, while five finalists get $5000 each and a trip to New York. Check it out here. Don D’Auria, former executive editor with Dorchester Books, has joined Samhain Publishing and is looking to acquire horror manuscripts. Samhain publishes ebook and trade paper editions. They’ve been successful with romance and are now looking to launch a new horror line with D’Auria at the helm. He’s looking for all kinds of horror stories, between 12,000 and 100,000 words (minimum 50,000 words for print in addition to ebook; shorter works will be ebooks only). Unagented and previously unpublished authors are welcome to submit. Send the complete manuscript and a full synopsis. Get all the details here. If you write mystery, or aspire to write mystery, check out Sisters In Crime’s new report “The Mystery Book Consumer in the Digital Age.” Among interesting tidbits in the report: the majority of mystery readers are women, and more than half are baby boomer age or older. Younger readers like darker, more suspenseful stories. E-book sales are growing. Book covers matter. 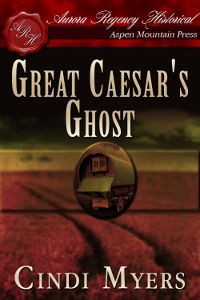 Also new on the cyber shelves, the reissue of my Americana historical, Great Caesar’s Ghost, from Aspen Mountain Press’s Aurora Regency line. 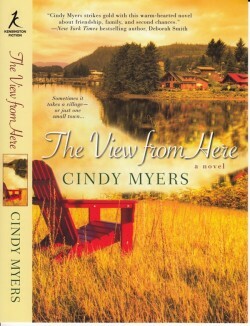 This comic/poignant novel is set in the 1890s at a spa where guests come to take the waters. When patent medicine peddler Jed Hawkins shows up, will he find the love and home he’s been searching for with old maid Nixie Dengler? Enchanted Conversations, a Fairy Tale Magazine, will be accepting submissions soon for 2011. Each issue has a theme around a particular fairy tale. You can submit a short story, a poem or an article that addresses some aspect of the fairy tale spotlighted in that issue. Payment is 10 cents a word for stories and articles, $50 for poems, via Paypal. Stories and article may be up to 2000 words, but preferably no more than 1500 words. Check out all the guidelines here. Writers often find themselves up against the closed door of publishers who only accept submissions from agented writers. Non-represented writers are left out in the cold. Angry Robot Books, which publishes fantasy, science fiction, horror and urban fantasy, will make an exception to their own agents-only rule in March of 2011. During that month only they’ll be accepting manuscript submissions from unagented writers. Find all the details here. The Denver Women’s Press Club is sponsoring an Unknown Writer’s Contest for Colorado writers over 18 who have never been professionally published. You can enter a short story, article or poem and win cash prizes. Deadline for entries is Feb. 12, 2011. Find all the details here. Canadian Publisher InnsMouth Free Press is seeking gothic short stories between 2000 and 10,000 words for Candle In the Attic Window, an anthology of gothic fiction. They want “gothic tales reimagined for a modern audience.” Payment is between $30 and $70 Canadian dollars, via Paypal. Deadline for submissions is February 28, 2011. Get the scoop here. As always, feel free to pass along information from this blog. All I ask is that you give me credit and include a link. And check out my books if you get a chance! Thanks. If one of your new year’s resolutions is to write more, or to market your work more, here are a few markets to get you started. Writer Terry Wright has started TWB Press to market short stories via Kindle and Nook. He’s now accepting submissions of science fiction, horror, supernatural and thriller short stories, 4000 to 7000 words. He pays royalties of 60 percent of net. He wants to see a query first. Find all the submission details here. Mortis Operandi, an anthology of “criminal investigation stories with a supernatural twist” opened to submissions January 1. Editors Kfir Luzzatto & Dru Pagliassotti told writer D.L. Snell, who interviewed him for their blog, that will all kinds of settings and time periods are welcome, a submission set in an historical time period or a setting other than white suburbia will stand out from the crowd of submissions they usually receive. Stories should be $3000 to $6000 words. Payment is $50. Find all the submission details here. And read all of D.L. Snell’s interview with the editors at his blog. 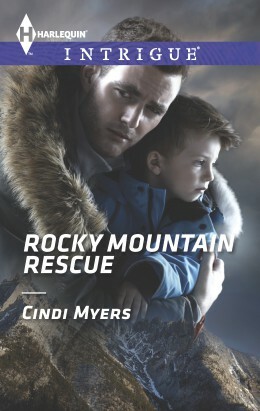 Three of my early western historical (written as Cynthia Sterling) are now available from Aspen Mountain Press. Get your copies of A Willing Spirit, Patchwork Hearts and San Antonio Rogue. And watch for Great Caesar’s Ghost, arriving soon. Check them all out here. The books will also all eventually be available for Kindle. Right now you can get A Willing Spirit and Patchwork Hearts for Kindle. Harlequin Editors Allison Lyons and Katherine Lye talk about Book of the Heart vs. Writing to Sell in this podcast. As always, feel free to share the information in this blog with others. All I ask is that you give me credit and provide a link to the blog. Thanks!